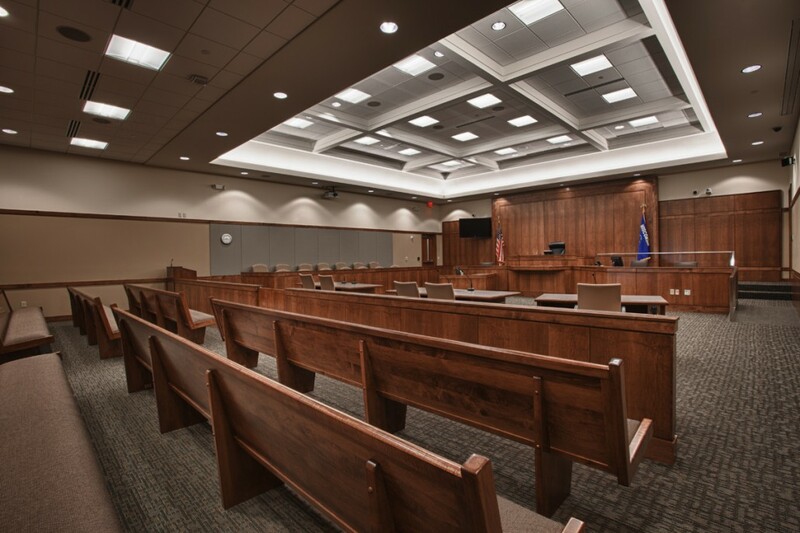 After working with 11 different design firms on 28 failed resolutions, Potter Lawson was selected and successful in bringing consensus on the County Board to design a two-phase justice center on the edge of town. Phase I was a 134,545 sf Justice Center and Health and Human Services Building. It has two jury-ready circuit courts, judicial offices, Clerk of Courts, Child Support, and District Attorneys offices. The Jail and Sheriff’s Department has 108 beds, with plans to increase the capacity to 124 beds. 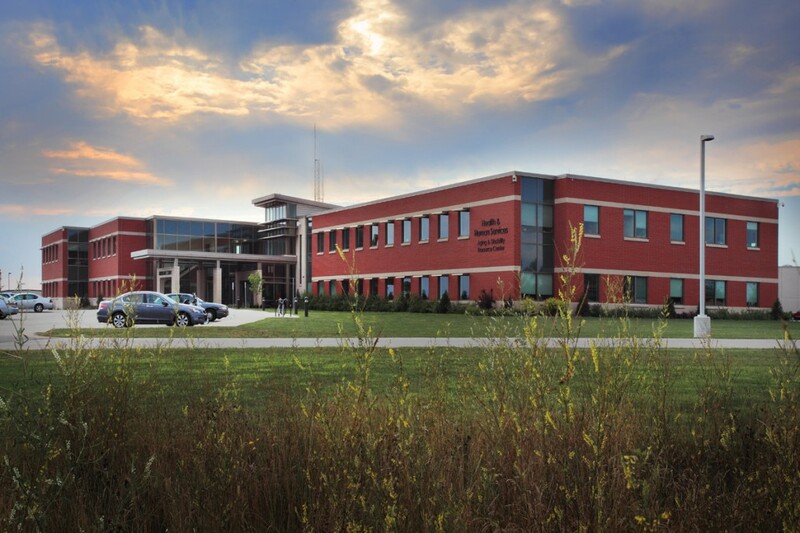 The Department of Health and Human Services, Information Services, and Veteran’s Services Department are located in a 20,000 sf portion of the building which includes 12,000 of shelled out space for future expansion. 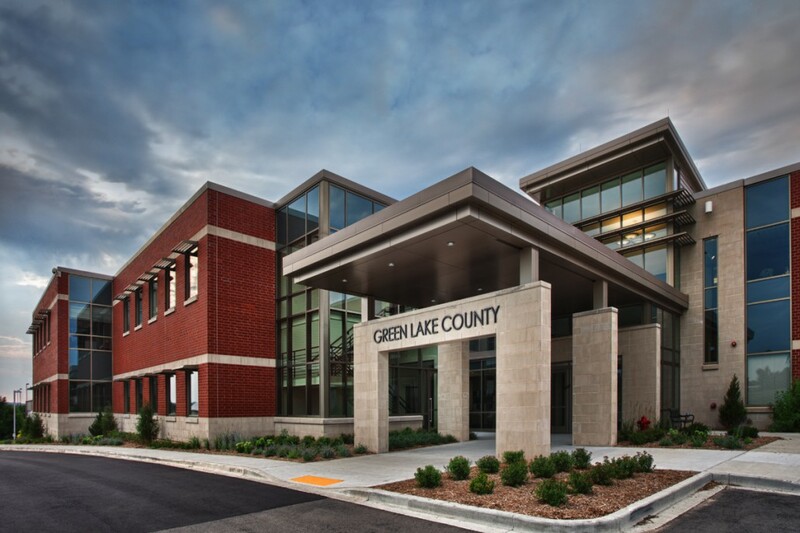 Phase II was a 25,433 sf addition that allowed the County to relocate the remaining departments from the existing downtown Courthouse to the new campus. The addition features a new county board meeting room, flexible training facilities with a separate break room and kitchen. – Solar tubes bring natural daylighting into interior offices and skylights provide natural light in the jail dayrooms. – Solar shades on the south side of the building reduce glare and heat gain.